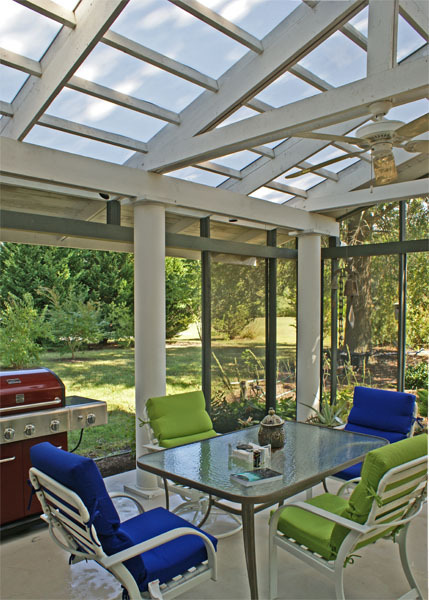 The unique feature of this large screened porch is its white translucent Plexiglas roof which allows filtered light to come into the space. Mottled shadows of leaves from nearby trees cast patterns onto the Plexiglas. 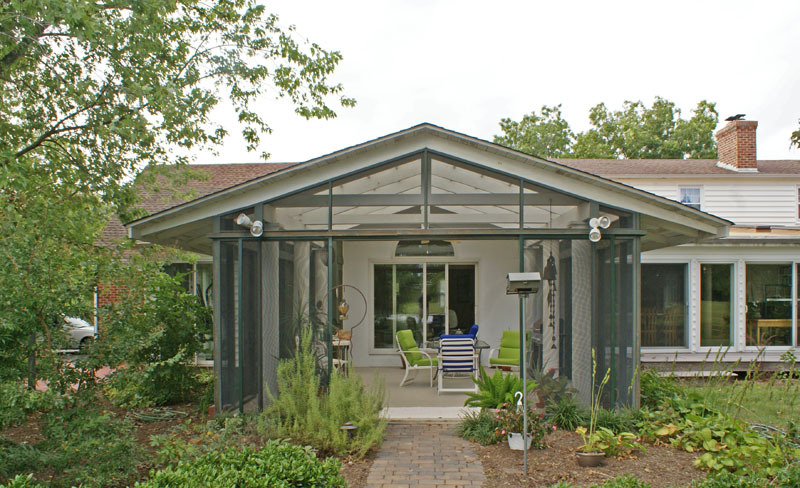 There is a pair of screens on each elevation which when opened, allow the porch to be more like an open pavilion in spring and fall months when bugs are not so bothersome.